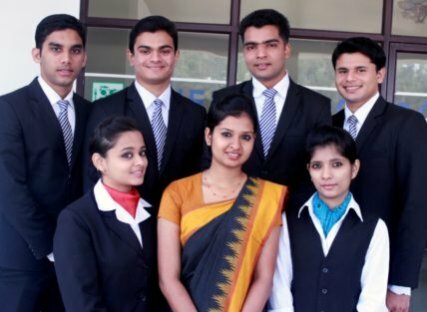 The Master of Hotel Management (MHM) is an intensive Four-semester Hotel Management degree program, the only one of its kind in the state of Kerala. During the course of study skills are developed in hospitality related business sciences and techniques in identification, problem-solving and developing strategic and operational plans for management of international hospitality related organisations. The MHM prepares students to be theory-based, action-oriented leaders of executive management teams and entrepreneurial ventures. MHM graduates are entrepreneurs, restaurateurs, developers, analysts, consultants, corporate directors, and managers of hotels, resorts, and spas. Any candidate who has passed degree in Tourism or Hotel Management or in both from University of Calicut or the same degree of any other University or Institute in any state recognized by UGC or AICTE with a minimum of 45% marks is eligible for admission. The 70% of the total seats are reserved for above graduates. The remaining 30% are reserved for the candidates who have passed degree from any other stream with a minimum of 45% marks. 70% of seats are reserved for Tourism / Hotel Management degree students and 30% for other degree students). An amount of Rs.1,500 to be paid as food charges by the day scholars.